The Securities and Exchange Commission has filed a Complaint seeking monetary and injunctive relief against 1 Global Capital, LLC and its Chairman and CEO, Carl Ruderman, along with the Ruderman Family Trust and a host of related companies used to carry out the alleged scheme. 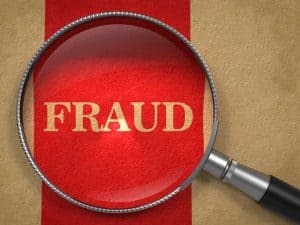 According to the Complaint, the Defendants used a network of barred brokers, registered and unregistered investment advisors – to whom they paid millions in commissions – to fraudulently raise more than $287 million from more than 3,400 investors nationwide to fund 1 Global’s business of offering short-term financing to small and medium-sized businesses. The company allegedly would tout its rigorous underwriting process through which it claimed to approve only one in ten merchants who applied for a loan. In reality, however, the SEC alleges that the defendants used substantial investor funds for purposes other than the cash advances, including paying operating expenses and purchasing already-distressed, long-term credit card debt. The SEC further alleges that 1 Global and Ruderman misappropriated at least $35 million of investor money by making payments directly to Ruderman or entities he owned or controlled; to companies owned by Ruderman’s relatives and acquaintances; and to fund Ruderman’s lavish lifestyle, including a luxury Greek vacation and monthly payments for his Mercedes Benz. The SEC allegations state that 1 Global and its sales representatives deceptively claimed that the company would only use investor money to fund merchant cash advances, falsely represented the amount of investor money the company would take for its own use, sent monthly account statements to investors that falsely represented their portfolio balances and returns, and falsely represented that the company had an independent auditor who had endorsed certain aspects of the company’s business model. By June 30, 2018, 1 Global’s financial records show that it was short approximately $50 million of investor funds that should have been in the company’s bank accounts and available for merchant loans. By the end of July, 1 Global and one of its sister companies had filed for Chapter 11 bankruptcy protection, placing investors at risk of losing significant funds. The SEC’s complaint seeks a freeze of the defendants’ assets along with a permanent injunction barring 1 Global and Ruderman from further violations of the Securities Act, disgorging all ill-gotten gains with interest, paying additional monetary penalties, plus additional measures to preserve records and ensure the accuracy of the defendants’ accounting. If you or someone you know has lost money as a result of an investment with 1 Global Capital, LLC or Carl Ruderman, please call the Frankowski Firm at 888.741.7503 or fill out this contact form.